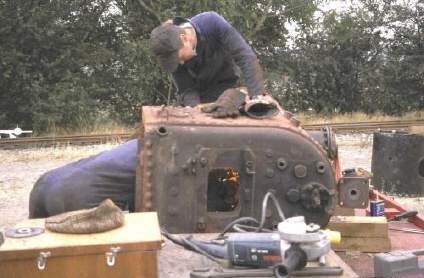 Click here to see work on the boiler. Click here to see work on the chassis and cab. Unfortunately, maintenance work is needed from time to time. Most of Sian's maintenance is done by the group members. 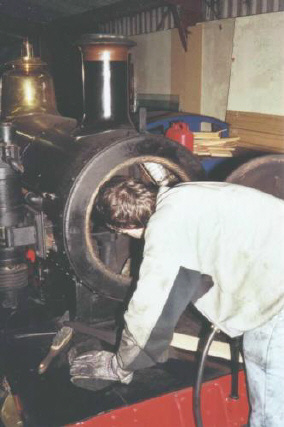 Click on the two buttons below to see the work on the chassis or boiler during the overhaul done between 1998 and 2000.